Together, we can protect the Gulf of California World Heritage site, home to the critically endangered vaquita. There may be fewer than 30 vaquitas left in the world and we can save them. 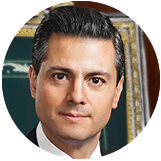 Ask the Mexican president to take strong action now. The Gulf of California is home to a spectacular array of wildlife, including the vaquita – the world’s most endangered marine mammal. Unless the threats leading to the critical decline in the vaquita population are removed, the Gulf of California could be placed on UNESCO’s List of World Heritage in Danger. And the world will forever lose this species. Support for local fishing communities is key to saving the vaquita. Due to lack of enforcement, illegal and unsustainable fishing is decimating the Gulf’s once-thriving waters and putting people’s livelihoods at risk. It is critical to work with local communities for sustainable fisheries management, including the adoption of gillnet alternatives. 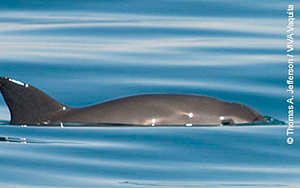 The Upper Gulf of California is the only place where the vaquita lives. You have been a champion of the species in the past. To prevent its extinction, a permanent gillnet ban is urgently needed, together with the development of fishing alternatives and effective enforcement to halt illegal totoaba fishing and end its trade from Mexico to China. I encourage you to take immediate action to secure long-term protection of the Gulf of California World Heritage site, home of the last 30 vaquitas, as a positive legacy of your leadership for Mexicans and the world. Sincerely, a champion of the Gulf of California and the vaquita. Checkbox Thank you for providing your email address. Please tick the box if you would like WWF-UK to keep you informed about this campaign, our conservation work, and other ways you can help. You can unsubscribe at any time. We’ll use your name to tell business and governments to support precious World Heritage sites right around the world. World Heritage sites belong to all of us. Together we can safeguard these natural treasures and the benefits they provide. An analysis commissioned by WWF sets out a critical path for securing the vaquita. 11 million people who depend on World Heritage sites for their well-being are at risk.